An exhilarating saga of the Vikings that conjures a brutal, superstitious, and thrilling ninth-century world and the birth of a kingdom—the debut installment in a historical literary trilogy that combines the bold imagination and sweeping narrative power of Game of Thrones, Vikings, and Outlander. Centuries ago, in a blood-soaked land ruled by legendary gods and warring men, a prophecy foretold of a high king who would come to reign over all of the north. . . .
Ragnvald Eysteinsson, the son and grandson of kings, grew up believing that he would one day take his dead father’s place as chief of his family’s lands. But, sailing home from a raiding trip to Ireland, the young warrior is betrayed and left for dead by men in the pay of his greedy stepfather, Olaf. Rescued by a fisherman, Ragnvald is determined to have revenge for his stepfather’s betrayal, claim his birthright and the woman he loves, and rescue his beloved sister Svanhild. Opportunity may lie with Harald of Vestfold, the strong young Norse warrior rumored to be the prophesied king. Ragnvald pledges his sword to King Harald, a choice that will hold enormous consequence in the years to come. While Ragnvald’s duty is to fight—and even die—for his honor, Svanhild must make an advantageous marriage, though her adventurous spirit yearns to see the world. Her stepfather, Olaf, has arranged a husband for her—a hard old man she neither loves nor desires. When the chance to escape Olaf’s cruelty comes at the hands of her brother’s arch rival, the shrewd young woman is forced to make a heartbreaking choice: family or freedom. 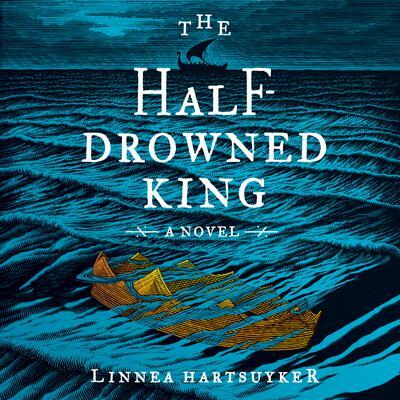 Set in a mystical and violent world defined by honor, loyalty, deceit, passion, and courage, The Half-Drowned King is an electrifying adventure that breathtakingly illuminates the Viking world and the birth of Scandinavia.